Advanced Lockout/Tagout Procedures are necessary when accommodating large equipment installations, such as multi-robot work-cells or large conveyor systems. In such cases, it is often unsuitable to use photographs of the equipment. That is why, to avoid unnecessary confusion, one or more overhead locator views are used. 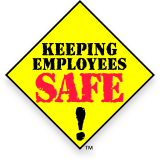 DEenergize Lockout/Tagout Procedure placards are supplied with energy control tags. Each tag contains all information pertaining to the unique energy control device, including unique energy isolation, Lockout and verification procedures. 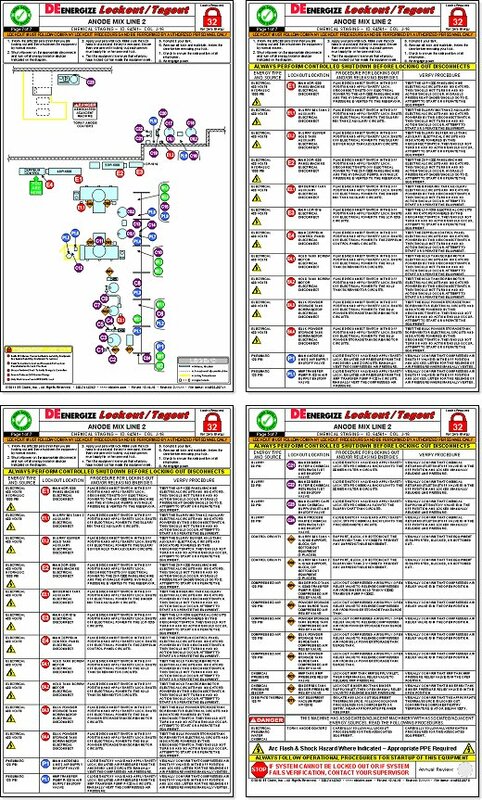 With DEenergize, all device-specific Lockout/Tagout information is placed right where you need it. Examples of DEenergize tags are shown below.